Each section of Cooked tracks Pollan's effort to master a single classic recipe using one of the four elements. A North Carolina barbecue pit master tutors him in the primal magic of fire; a Chez Panisse–trained cook schools him in the art of braising; a celebrated baker teaches him how air transforms grain and water into a fragrant loaf of bread; and finally, several mad-genius "fermentos" (a tribe that includes brewers, cheese makers, and all kinds of picklers) reveal how fungi and bacteria can perform the most amazing alchemies of all. 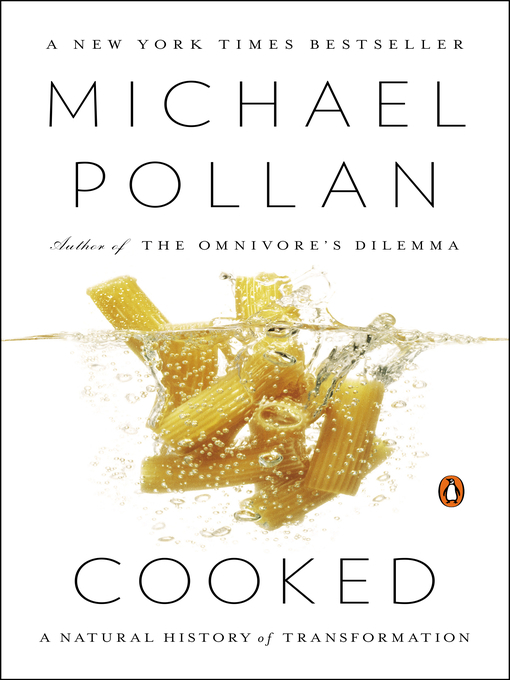 The reader learns alongside Pollan, but the lessons move beyond the practical to become an investigation of how cooking involves us in a web of social and ecological relationships. Cooking, above all, connects us.